Damascus sword which is made of Wootz steel originated from India in about 8th century AD. Wootz steel was an ultra-high carbon steel with 1-2% carbon and was used to fashion the Damascus blades with a watered steel pattern. 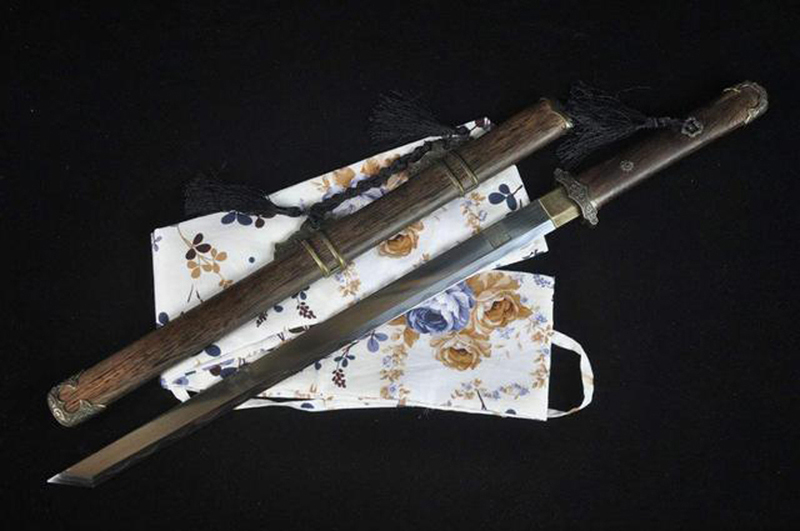 Damascus sword is represented by ancient Persia, and Iran's ancient iron weapons are very famous. Wootz steel was traded all over the ancient and Medieval world. Wootz iron mine in India was completely mined at the end of the 17th century. Damas de Corrayage refers to the sword used in the ancient Malay nation from the Philippines to India. The traditional sword is purely made of falling meteorite iron, mainly because the iron ore in the Malay Islands is poor, and the meteorite iron contains nickel, which can enhance the toughness of the blade without breaking. An important feature of the Sword is the pattern on its surface. Japanese samurai sword is copied from Chinese "Tang Dao". But the posture and forging have also undergone tremendous changes in Japan gradually, and it has developed into a unique cold weapon with typical Japanese characteristics.